When strawberries are at this peak, you have to take advantage of them in every way possible — including in your drinks. In the late summer, try blueberries or peaches instead. Put the water, agave nectar, lemon peel and ginger in a small saucepan. Bring to a boil on medium heat and cook until reduced to half, about 10 minutes. Remove and set aside, cooling slightly. 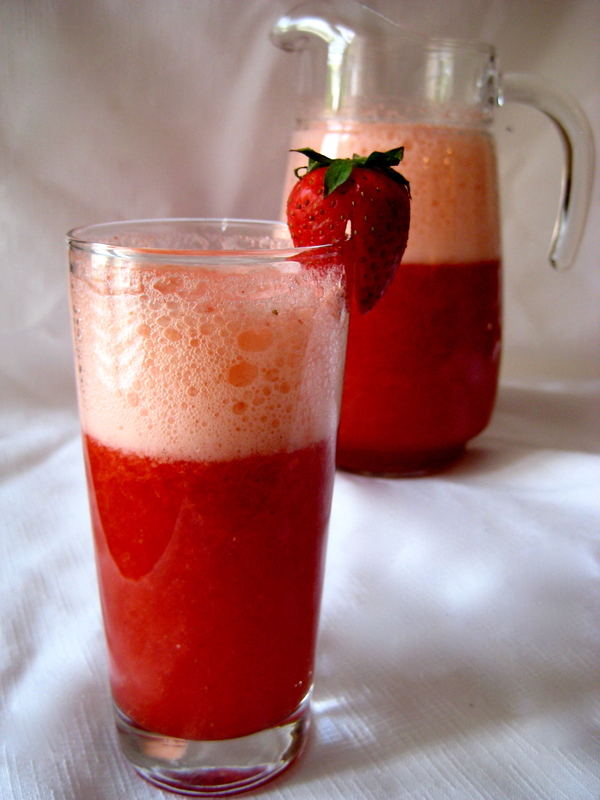 Meanwhile, put the strawberries, whole lemons, and about 1 cup (240 ml) of the club soda in a blender. Blend until smooth. Strain the agave nectar mixture, discarding the peel and ginger. Add the mixture to the blender. Blend until smooth and well combined. To serve, either mix club soda and the puree in a pitcher, or fill glasses with half puree and half club soda. Use as much club soda to your taste. Serve cold.